Is Shuri the new Black Panther? 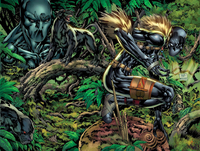 Are the Dora Milaje the new Black Panthers'? Is Echo the new Black Panther?